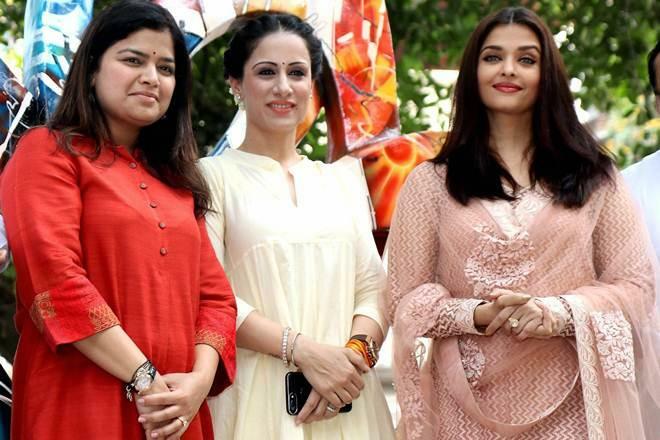 Former Miss World #AishwaryaRaiBachchan on Monday inaugurated artist-social activist #RoubleNegi's sculpture titled #TheParadiseGarden and thanked the activist for beautifying the city. "We are thankful to Rouble as she is making your city more beautiful and as a Mumbaikar, I am too happy to join this ongoing movement to beautify our city and have art installations," said Aishwarya. "Art is not just for the exclusive section of society, it has to be enjoyed by all. In fact, art becomes artwork with increased audience's appreciation," she added. The Paradise Garden sculpture is installed opposite Mehboob Studio, Bandra, and Aishwarya says that she has a special connection with the place. "This is a special place, as I have lived in Bandra till I got married and Mehboob Studio is the place where I have done lots of work." Rouble told the media: "Public art has the power to energise our public spaces, arouse our thinking and transform the places where we live, work and play into more welcoming, beautiful and interactive communities." "Public art isn't just art for the wealthy or those inclined to visit museums and gallery shows; it is art for everyone. As an artist, I seek solace and inspiration in nature. Nature and art are inseparably linked. Nowhere can we find as much inspiration, peace and solace as in nature," she further said. Poonam Mahajan, the MP from Mumbai North-Central, was also present at the inauguration ceremony.